“An attempt to break the world record for reading aloud, by reading out the entire Bible, failed after the reader lost consciousness while reading Jeremiah. “The reader, David Bathurst, who is 51 and has accomplished several feats for charity, including reading the Gospels and the complete works of Gilbert and Sullivan from memory, said that he still felt positive about his attempt, which has raised £2,500 for charity. “The current record for reading aloud stands at just over 113 hours, and was set overseas. In order to break this record, Mr Bathurst had to read for five days and nights, and was allowed only 20 minutes of rest after each four hours of reading. “Mr Bathurst began the Bible reading in St Mary's, Barnham, near Chichester, on Wednesday of last week [24 August 2011]. Problems began during the Thursday night, when he was aware that he was losing consciousness for a few seconds at a time. "I rallied on Friday, but things really started to unravel on Friday night," he said. "I kept reading, but I was drifting in and out of consciousness. "It got to the point wher I'd lost the notion of what I was doing, and couldn't form a link between the words on the page and what I needed to say. The paramedics were eventually called out on Saturday. They said I just needed to sleep. I tired to go on with the reading, but it wasn't making any sense." “He went to sleep in the vestry for seven hours, then continued with the reading on Sunday morning. "I went right on from where I'd left off - in Jeremiah - to the end. I finished on Monday evening. I don't feel disappointed, because there was nothing I could have done." 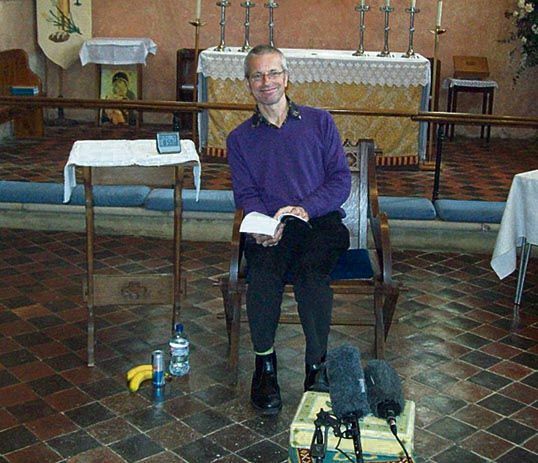 Read more about David's "readathon". David works for the Courts in Chichester. He has written a large number of guidebooks and walking guides for the Sussex countryside. 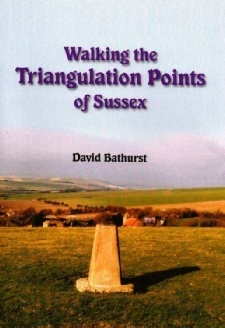 and Walking the Triangulation Points of Sussex (2009).